Parents also use Mavala Switzerland's polish to keep kids from sucking their thumbs! Biting your nails is not only an irritating and painful habit, but it can potentially be detrimental to your health, considering your fingertips are nice cozy homes to all sorts of bacteria, fungi, and yeasts... Just take it from the guy who got sepsis from nail-biting and almost died. It can also potentially cause dental issues down the road, so let's just all agree that it's a bad idea all around. And hey, I am sure you were aware of all of this already! I knew the scary 411 on nail-biting and I still did it. My boyfriend does it. Lebron James does it. 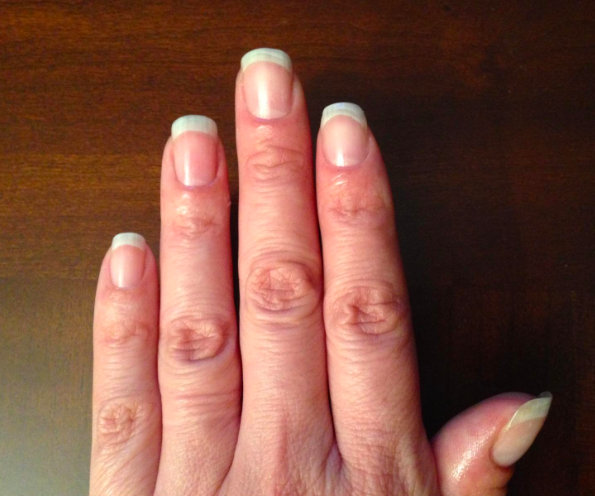 LOTS of us bite our nails, so I understand that it's not an easy thing to just stop doing. But! There's good news: Breaking the bad habit *is* possible, especially if you enlist a little extra help from this practically miracle-working polish by Mavala Switzerland ($16). It's a bitter-tasting varnish that dries clear and trains your brain to keep your nasty, germy fingers out of your mouth. 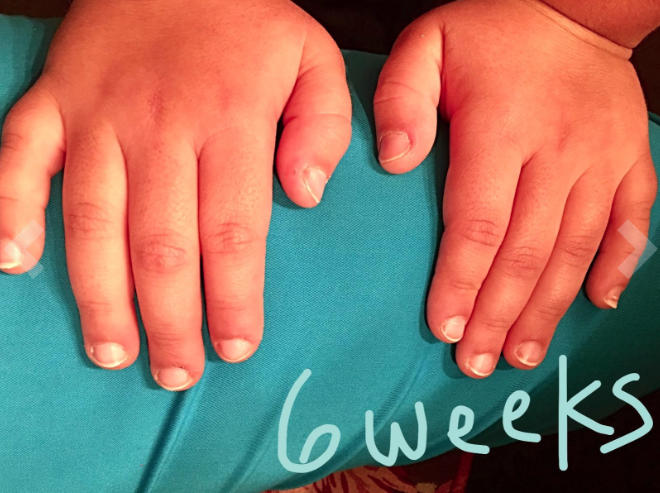 It's simple to use, safe for children, and many reviewers say that a little goes a long way — seriously, there's no need to paint the entire nail. Just brush a bit on your nails or cuticles with the applicator so when you go in for a munch, the strong taste will make you want to keep your hands far, far away from your face. Parents even swear that a drop of this keeps their kids from sucking their thumbs! 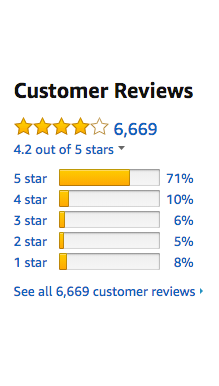 Plus, the people of Amazon have spoken, and this product has a 4.2-star rating and over 6,600 reviews, so you know it's legit. And here's a review and pic that's just so encouraging! I love it. Now, if you're a parent and want to use this to help your child stop nail-biting or thumb-sucking, many customer reviews recommend testing it out yourself first and only applying a tiny dot, given that the taste is extremely bitter. Get it from Amazon for $15.50+ (available in two set sizes).